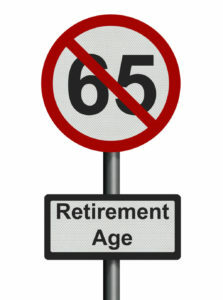 In 2006, when Ontario abolished mandatory retirement, employers were still able to terminate benefits for workers who turned 65, due to a section of the Human Rights Code (the “Code”) that permits pension and benefit plans to treat workers older than 65 and younger than 18 differently than their colleagues. Recently, however, the Human Rights Tribunal of Ontario (HRTO) decided that the Code, and related provisions in the Employment Standards Act, 2000 specifically the provision that allows employers to cut off certain employee benefits at age 65, amount to age discrimination and violate the Canadian Charter of Rights and Freedoms. The case concerned Wayne Talos, a teacher at the Grand Erie District School Board in Brantford, Ontario, whose extended health, dental and life insurance benefits were cut off when he turned 65, even though he was still working full-time. In response, Talos filed an application with the HRTO in which he argued, among other things, that the Code’s provision constituted age discrimination that violated the Canadian Charter of Rights and Freedoms. Talos brought on an actuary to testify as an expert witness, who argued that health benefits for employees aged 60 to 64 are the most expensive. In addition, since Ontario covers most drug costs for residents aged 65 and over, he submitted that it costs employers the same to include an employee who is between the ages of 65 and 79 on the benefits plan as it does to include workers in their 40s. In fact, the actuary brought in by the school board ended up agreeing with Talos’ actuary. The HRTO accepted that there was a rational connection between the Code provision and the legislative objective of protecting the financial viability of benefits plans, but ultimately concluded that the law is neither minimally impairing nor proportional. The HRTO stated that other alternatives were available, such as requiring age-based distinctions in workplace benefits plans to be “reasonable and bona fide” or necessary to prevent undue hardship for the employer. On May 18, 2018, the HRTO finally released an interim decision finding that the impugned Code provision was unconstitutional. The full decision can be read here: Talos v. Grand Erie District School Board, 2018 HRTO 680 (CanLII). They found that the impugned provision drew a distinction on the basis of age, and that this distinction created a disadvantage in terms of both financial and emotional costs associated with the loss of benefit coverage. As the HRTO stated, “Being stripped of benefits at age 65 and older is not responsive to the needs of older workers” and instead reinforced the view that this age demographic was less valuable to the workforce than younger workers. That said, the HRTO does not have the authority to strike down laws, so the decision above only pertains to Talos. Still, it would be persuasive if other employees also found themselves to be in the same situation and decided to bring forward a complaint. If you believe you have come under the ambit of discrimination or have any questions about benefits, contact us now. To arrange your free confidential 30-minute phone consultation, make sure to contact us today.